An artist's rendering of a soccer stadium on Butler Shores. 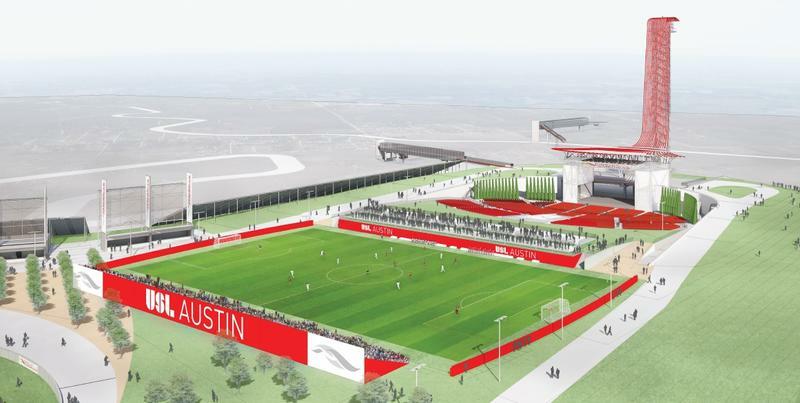 Precourt has been looking into moving the Columbus Crew from Ohio to Austin for months now, but its pitch to use public land to build a stadium has been met with skepticism. Some Austinites (and Council members) have suggested the city pass on the deal. Precourt responded to that pushback today, as well as a resolution by Kitchen to pull the item from the City Council’s agenda before it meets next month. The resolution, posted on the City Council's message board, calls on Council to remove Butler Shores and Roy Guerrero Park from the shortlist and asks for "deeper examination" of a site at McKalla Place in North Austin near the Domain. "We are taking this action because we believe as our city grows we must protect our parkland," Kitchen wrote on the message board. "Parks are a legacy for the people of Austin’s future and losing valuable parkland for private, for-profit uses is not appropriate for our city." Council Members Alison Alter, Jimmy Flannigan and Leslie Pool co-sponsored the resolution. 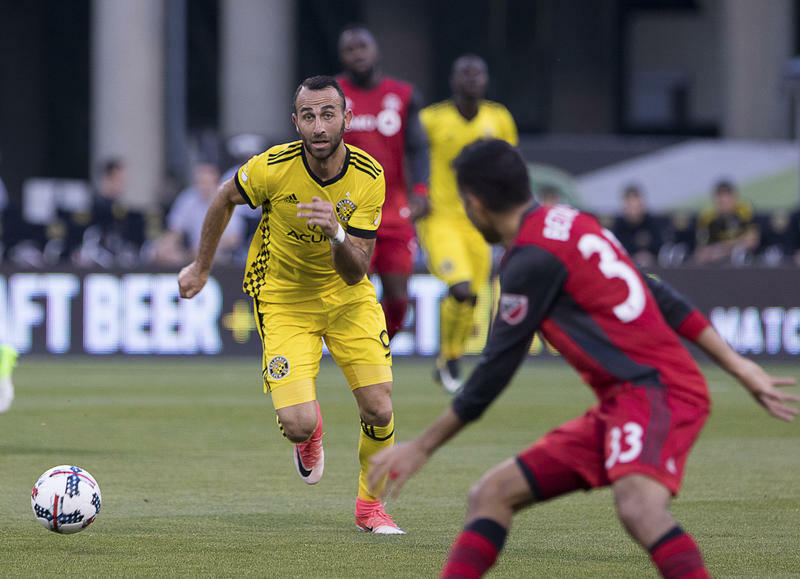 Since city staff developed the list of potential sites for a proposed Major League Soccer stadium at the direction of Council, Precourt Sports Ventures has researched the merits of each, including Butler Shores, Roy Guerrero Park and McKalla Place. 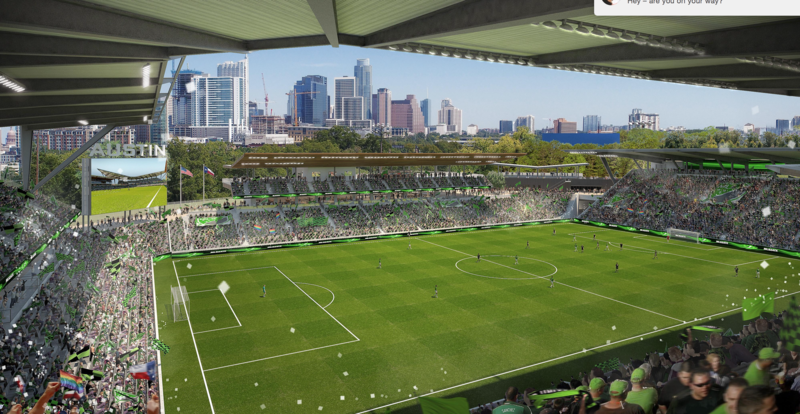 As we have stated from the onset of this process, finding the right site for a stadium will be of the utmost importance as we contemplate bringing MLS to Austin. With that in mind, we have done comprehensive work on the Butler Shores site, including independent studies on traffic, parking, lights and sound, among others, and that will be complete in the next few weeks. The firm will present its findings to the Austin City Council on Feb. 15.